Upload photos to SmugMug directly from iPhoto. Is there a better alternative to SmugMugExport? Is SmugMugExport really the best app in Internet Utilities category? Will SmugMugExport work good on macOS 10.13.4? 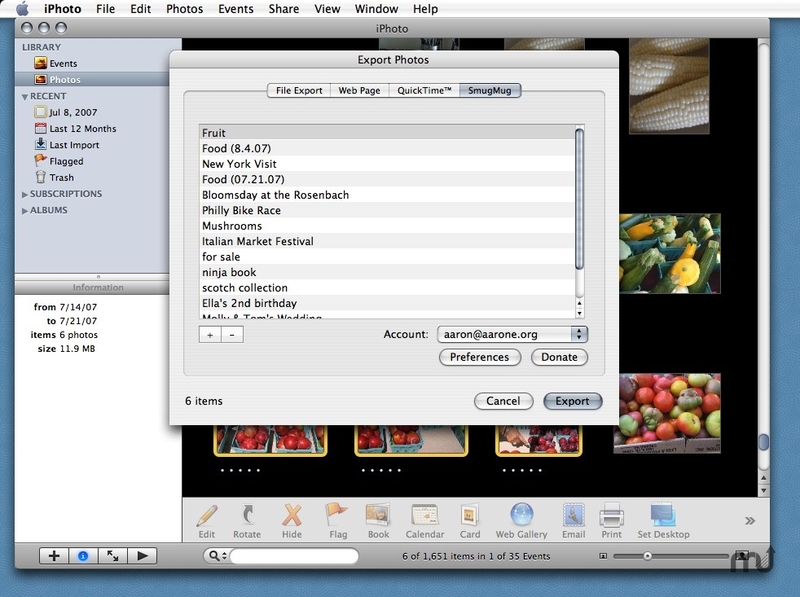 SmugMugExport is an iPhoto plugin that uploads images directly to your SmugMug galleries from within iPhoto. SmugMugExport needs a review. Be the first to review this app and get the discussion started!